Whe we had fun in Utah, didn't we? I sure hope that the rest of my vacation is that fun, don't you? 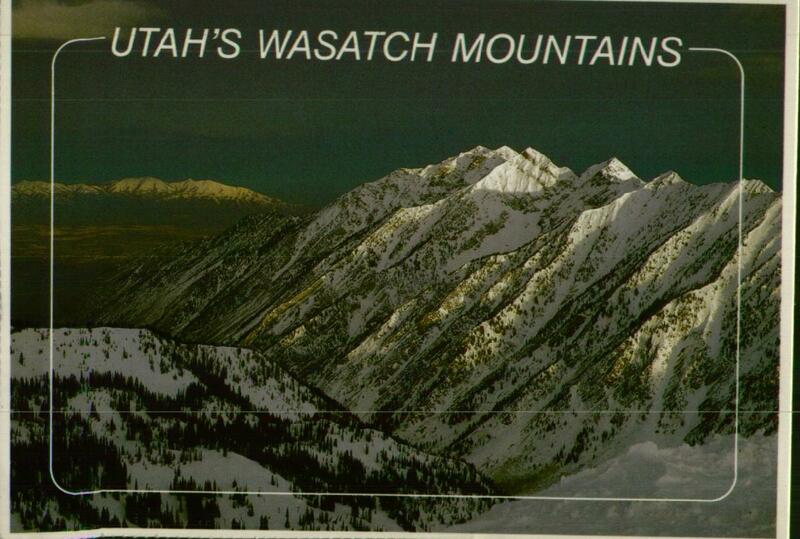 Suntise on the Wasatch Peaks with the Salt Lake Valley in the distance, and the Oquirrh Mountains beyond. It's hard for me not to read sarcasm into this inscription, but it's almost certainly genuine. 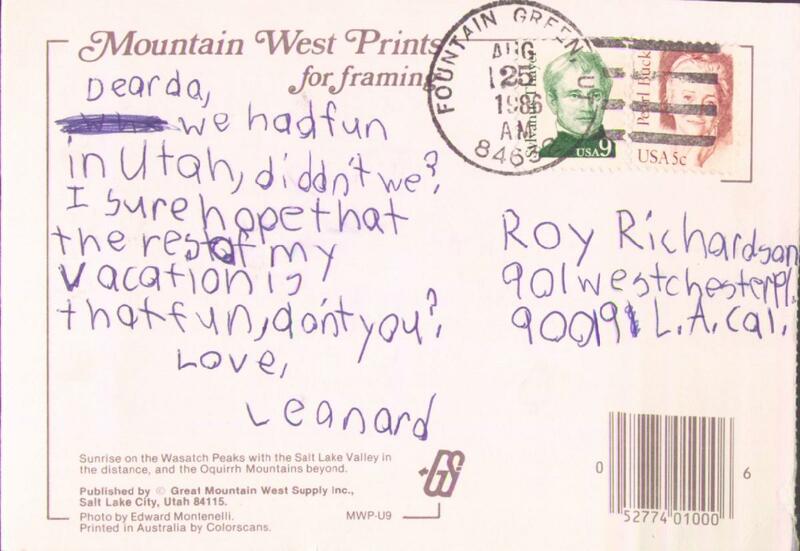 Note that it was posted to California while we were still in Utah, meaning that by the time my dad received the postcard, the question of whether he'd hoped we would have fun would be moot.